He is currently the Center for a Livable Future Professor, Professor of Environmental Health Sciences, Health Policy, and International Health at the John Hopkins Bloomberg School of Public Health, and Professor of Medicine at the Johns Hopkins School of Medicine. Dr. Lawrence graduated from Harvard Medical School, trained in Internal Medicine at the Massachusetts General Hospital in Boston, and served for three years as an Epidemic Intelligence Service Officer, Centers for Disease Control and Prevention. At the University of North Carolina and as director of the Division of Primary Care at Harvard Medical School and chief of Medicine at the Cambridge Hospital, he helped develop community health service and training programs. Dr. Lawrence chaired the first US Preventive Services Task Force from 1984-89 and served on the successor Task Force from 1990-96. 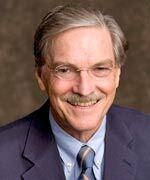 From 1991 to 1995 he served as Director of Health Sciences at the Rockefeller Foundation. Dr. Lawrence has participated in human rights investigations on behalf of PHR or other human rights groups to Chile, Czechoslovakia, Egypt, El Salvador, Guatemala, the Philippines, South Africa, and Kosovo.